To celebrate Earth Day and spring, the time of year we see the earth come to life, try one of these simple celebrations. This can be a very meditative, healing and spiritual activity. There are lots of books and kits to help you build these prayer towers but I like to wing it. I make choosing the stones part of the prayer. First find a place that feels ‘right’ to you. You can clear it and bless it, or not. Begin your search for stones that speak to you. You can find them around your Cairn site or on your travels and then bring them back to your building site. You can wash your stones or not and then start placing them however they look good to you. Basically, through the whole process, do what feels right. Use your own creativity and intuition. 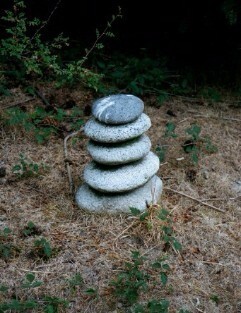 You can make it as simple (just stack the stones) or complex (sing, dance, pray) as you like. Try it! It’s fun and soothing. Do you remember Silly Sand? For some reason this activity reminds me of this childhood toy. Trees facilitate the cleansing and revitalizing of all of the stored up negativity and stress we experience and give it a place to be absorbed. See the Book Corner Books below to learn about the magic of trees. Spring is here! It’s time to take your shoes off and set your toes free! Once your shoes are off, find a natural surface like grass, sand or woodland. Before walking, close your eyes and take a few deep breaths relaxing all muscles and feeling the air against your skin. 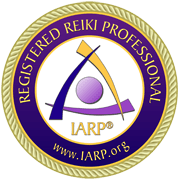 On your exhale imagine that all of your stress, illnesses and anything else that is not serving you is exiting your body through openings in the soles of your feet – exiting down deep into the earth and being absorbed and transmuted by mother earth. Now begin taking steps as slowly as you can and continue on each exhale to release into the earth through your feet, keeping your mind’s focus on that process. Once you are comfortable with that you can try moving the energy the other way: absorb the earth’s healing energies through the soles of your feet on each inhale while continuing to walk as slowly as you can. Play around with these 2 processes as often as you can and you will feel the health benefits! 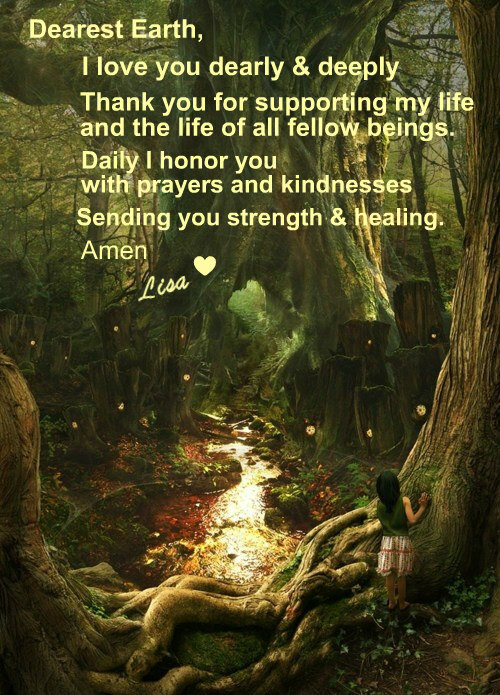 See the book Corner Books below to learn about the earth’s healing powers. Yes, even if you did not do the littering! It’s humanity’s folly, it’s our earth’s burden. We can help lift that burden with small actions daily. 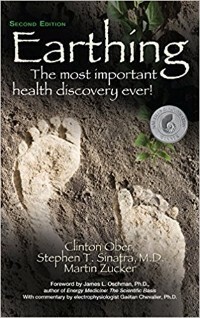 This book discusses the earth’s natural healing energy and how we can reconnect to it and use it to relieve and eliminate common modern day illnesses such as inflammation, autoimmune issues, stress, insomnia, etc. It’s easy! You’ll never think of trees the same way again. 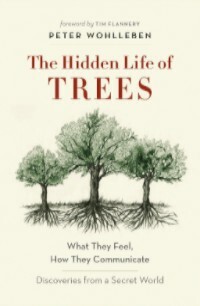 The Hidden Life of Trees- What They Feel How They Communicate- Discoveries From a Secret World. I always knew trees were more alive than we give them credit for but what Peter Wohlleben discovers and explains here is mind bending.